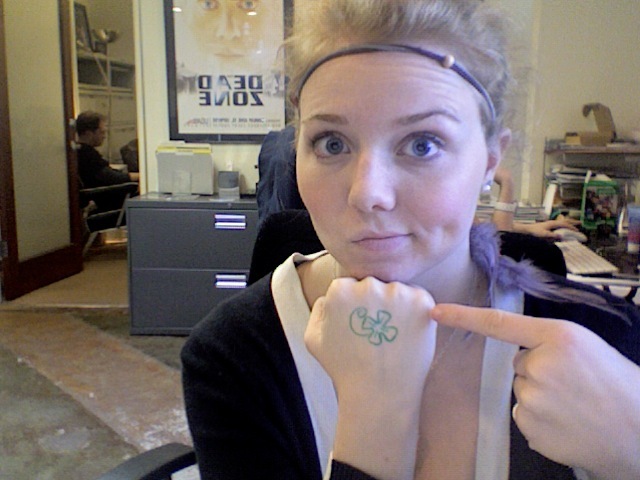 I forgot to wear green this glorious St. Patrick’s Day. I need to go kiss a blarney stone and drink some green beer or something to make up for the fact that I’m an EMBARRASSMENT to my heritage, for cryin’ out loud. Well, ok, that might be a slight exaggeration, but I’m normally SO into holidays. I pretty much love them all — Christmas, Thanksgiving, Halloween, 4th of July, Arbor Day, Easter, Valentine’s Day, Disneyland’s anniversary…wait, I meant… well yea, that’s what I meant. Any chance to celebrate with cute decorations and good food and I am THERE. I blame my mom, though not in a bad way. We have 25 boxes of Christmas decorations in the attic at my parents home, no lie. We also had those little holiday flags out in our front lawn for all the seasons and major holidays. When I was in elementary school, my mom used holiday cookie cutters to make my peanut butter sandwiches. 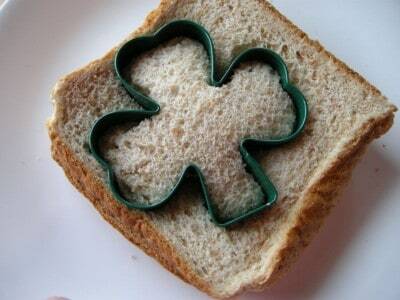 Who doesn’t love a pumpkin, heart or shamrock shaped sandwich to show your festiveness? That’s a whole lot of Irish running around the states. No relation to the famous vampire clan though…that I’m aware of anyway.